Trumpets, October 16, 2008, began an amazing journey that brought us to Tabernacles, 2010. Over that time period, many valuable truths have been learned. But, come Tabernacles, we did not see that for which we have hoped—a clear evidence that the remaining two years of the covenant with the many has begun. Gary and Chris discuss this, as well as what has been and what is required of the Bride as a female work—to trust in their head and do what is right (1 Peter 3:6). What Yahweh does from here is to be seen. First, Gary and Chris discuss the October 24 blog posting titled “Angels Will Bear You Up.” In light of the relevance that NASA has to the angels bearing Yahshua, and us as well, up to heaven, Gary points out how all of the works of man are in fact towers of Babel that fall short. He also spends time relating several most interesting and revealing personal stories of how Yahweh has lead, taught, and equipped him through the years. One dream he had provokes an examination of Yahweh God’s creation testimony, and how it sets forth the government of the role and place of the woman. In addition, the significance of October 16 relative to the Bride’s hope for the days before us is considered. Seeing the big picture has been the purpose of the last two radio programs; and though this is not the title of this program, the purpose is still the same. Gary and Chris first consider the big picture of what Yahweh has done for six thousand years, and how this points to a Jubilee in 1994. They consider what must take place at this critical time regarding the latter rain. Adding important light and understanding, the effectual power of intercession is examined, particularly in regard to Yahshua’s baptism and what this means for the previous works of the Bride. This all points to the feasts that are at hand: Trumpets, which is today, the day of this posting; followed by Atonement, October 30; and Tabernacles, beginning November 4. America just went through, and is still suffering from, a housing bubble that rattled the nation. But, there is a vastly larger bubble at hand that is about to pop, and it will shake America and the world to its core. 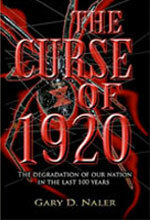 From 1929 to 1937, the Great Depression was a warning to America of a judgment to come as a result of the Curse of 1920. It was a shot over the bow. But we’re getting ready to experience the direct hit, directly because of the first prong of that curse—feminism! America abandoned the gold standard in 1971, giving life to this bubble; but the natural prophesies, and America has in fact rejected the standard of the kingdom of heaven, the imperishable gold. After summarizing the two resurrections and three ascensions, including the timing of these in the evidenced plan of Yahweh, as well as the restoration of fallen heavenly beings (Colossians 1:16-20), Gary proceeds into what it means and what is accomplished in seeing the big picture. He examines this at the personal level, at the nations level, and at the kingdom of heaven level. At every level man is failing to see the bigger picture, setting himself up for tragic failure and judgment. Most importantly, also addressed is the absolute necessity of recognizing Yahweh’s government of male and female, exposing the rebellion of feminism and the consequential outcome of homosexuality. In this program, the second resurrection and lake of fire are addressed. What is the outcome of being thrown into the lake of fire, what is its purpose, and who is thrown into it? What specifically is “brimstone”; and is being “tormented,” as spoken of regarding the lake of fire, an accurate representation of the Greek word used there? Also examined is the great host of evidence that Yahshua died for all men, and that by His work all men will be made alive, as is clearly stated. And finally, how is it that men can and do insult the Spirit of grace, and are we held accountable when we sin willfully? All of this and more is addressed here. Continuing from the writing, Resurrection and Judgment, and the previous program as well, one of the first items is a most interesting testimony from Paul turning three men over to Satan. Here we find an amazing and confirming pattern of the church, yet of necessity cut short to two parts. Gary then lays out the two resurrections and three ascensions that take place in mankind: first with the Bride, then the Body, followed by the nations. Also examined is this matter of judgment, in contrast to the traditional view of being tormented in hell. And regarding judgment, the necessity of personal accountability and need for righteous behavior are passionately set forth. In this program, Chris poses several questions to Gary regarding the recently released writing, Resurrection and Judgment. Here are just some of the matters addressed: the difference between being born again and born from above; Yahshua’s ascension into heaven in His earthly body, preparing the way for us; the error and injustice of eternal hell-fire punishment; whether Enoch and Elijah actually ascended into heaven; the prophetic nature of the Old Testament and the trustworthiness of the writings of Paul; the blindness of the Body of Christ; the book of life; the significance of faith during the last six thousand years; the necessity that we judge ourselves; and the power of intercession. What does it mean to be “born again,” or regenerated, as stated in 1 Peter 1:3 and 23? And how does that differ from what Yahshua said: that we must be “born from above” (John 3:3 and 7)? And, how does this relate to that which Yahweh warned Adam, that if he ate from the tree of the knowledge of good and evil, “to die you will die”? And are we saved by works or by faith, and how does this relate to the trinity of faith? Also, what is “saved,” saved from what? What does the Bible say about judgment; does the blood of Yahshua exempt one from all judgment, does it cover every sin, even intentional? These are the matters addressed in this very insightful program. By examining the events that took place in the Garden of Eden, we find a clear parallel between the woman’s relationship to her husband, and mankind’s relationship to Yahweh God. We find that mankind was being represented by the woman when Satan went specifically to her to tempt her, and thereupon caused the man to fail and fall. Attested by Eve’s actions, the problem is when the one who is in the submissive role seeks to determine good and evil for oneself, taking the place of their head. This was the plight of Eve, is the plight of women, and is the plight of mankind. A writing addressing this matter more fully can be read by clicking here. Gary points out that the bedrock of Christian end-time teachings, Daniel 9:24-27, is the worst translated passage in the entire Bible. He notes that for two thousand years this passage has been fulfilled, as the people of the Prince, believers, have torn down the city and the sanctuary. This stark reality goes hand in hand with the equal error regarding the abomination of desolation. From simple numerical counting set forth in Daniel 12, we see that the first Remnant began this desolation, and it has continued throughout Christianity, evidenced in the mother church, Antioch. This is an extremely revealing and timely program. Two matters are addressed here: How and why Yahweh splits the Remnant, and what is the outcome and meaning of Gary’s recent trip to Britain. Regarding the first matter, the question arises as to what is the duration of the ministry period of the second Remnant, as well as how this relates to the Bride’s journey since Passover, April 25, 2009. 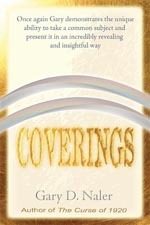 This will let you know where it appears we are today in Yahweh’s timing regarding the covenant with the many. Gary then addresses how his trip to Britain fits into the ways and purposes of Yahweh, specifically regarding what he calls the two-bird principle. This is a very helpful and timely update. Gary will be leaving for Great Britain on January 19 in the hopes of Yahweh doing something towards the erection of the Elijah and the ultimate coming of the latter rain. Evidence exists that even as the heavenly kingdom is Remnant –> Christianity –> Remnant, so the kingdom at the nations level is England –> America –> England. Gary expresses his hope for what could take place in that trip. In the words of co-host Chris Meier, “This is the most powerful, edifying, and informative program yet; one you will want to listen to over and over.” Not only does it consider the merits and hope of the trip, but clearly lays out the distinct differences between the Bride and Christianity. We are told in 1 Corinthians 1:27-29 that Yahweh has chosen the foolish things of the world, the base things, the despised, the things that are not, so that He may nullify the things that are. Recently something happened to Gary immediately upon making a request to Yahweh to reveal Himself. In the eyes of man, and even at his own consternation, what took place was indeed quite foolish. Yet, Gary could not in the least dismiss the absolute profoundness of it either. In this program he describes what took place, explains its profound meaning, and adds what this means for us today—a message none of us should ever forget. “That which has been is that which will be.” This declaration from Solomon is never more true than when one examines what took place in the Garden of Eden, and what is taking place in this nation. In both cases, the desire of the woman for the place of the man brings ruin and death. But this is not only true regarding this nation and man, but regarding every individual as well. In every man or woman, the same temptation exists concerning listening to one’s own feminine soul. With this commonality of truth revealed, one sees not only the glaring error and fate of this curse, but the means whereby it must be reversed. The black man from Africa has been cursed, and that curse has been transferred to America. Furthermore, the black man represents the church in its own cursed state, the two being the same—one at the nations level, and one at the kingdom of heaven level. Joining Gary to discuss these highly revealing matters are two Bride brothers, Tommy Tillman and Daniel Middleton. Both bring great insight and inquiry to this discussion, in that they are both black men. And of great necessity for all men, regardless of color, arises the question of how to overcome any curse. This is a very timely and provocative program, examining even Yahweh’s purpose for Barack Obama becoming President. Gary has just returned from a month-long teaching trip to the east coast, and he and Chris discuss that trip. It was most profitable, relates Gary, and he reveals plans to now take those same teachings and place them in videos—to be available on YouTube and on DVDs. Also, and most important, he explains the continuing hope we have as the Bride for the outpouring of the latter rain in the days before us, beginning a double-portion three year ministry period. You will very much value this timely and informative update. On June 6, 2009, in Denver, Colorado, a simple wedding ceremony was effected between the Bride and Elijah. Then on June 7, the marriage was consummated in Colorado Springs with a most amazing and marvelous testimony. Discussed in this program are those events, which are also written about in the Weblog posting with the same title, “June 6 & 7, 2009.” But as is the case in any conversation, this program provides insight and information unique to an open discussion. Gary also discusses his plans to travel and teach these Bride truths, and closes with a comment that introduces for the first time ever a most wonderful truth—what it means to lay out the palm branches so as to prepare the way for Immanuel, and how this is done today. In one more step towards understanding the prophetic significance of the wedding at Cana where Yahshua performed His first miracle of turning the water into wine, Gary reveals some most amazing information regarding the marriage of the Bride. The wedding at Cana coincides with his fortieth wedding anniversary on June 6, giving hope for the Bride—in fruitfulness and in headship. Shared here is a preview of some of the information that will be in two forthcoming writings. This miracle being performed before Yahshua’s hour is addressed, as well as the volumes of the stone waterpots used for purification—two or three measures. There are two principles that are core to both Gary’s life and to the Bride—Yahweh’s government, and intercession. In this broadcast, he relates experiences from his own life that cause him to trust in the effectual nature of both of these. They have been his means of receiving Yahweh’s promises, provisions, and blessings. As the critical April 3rd Tabernacles Pentecost approaches, these two principles are exceptionally important, prompting this program. Also addressed here is that, everything Yahshua did when He walked this earth, evidenced these two effectual principles. Therefore, we are wise to do the same, as you will learn, which impacts every area of our lives. What is Satan’s role in regard to Christianity? Where, when, and even how did he receive his authority, and what is its duration? Also, as with the signet ring of Haman, will that authority be given to another, and when? Gary and Chris discuss all these things, and much more. Considered here as well is Christianity’s duration, and a highly determining test for them that began in 1948—the test of Carmel. This is the test to see if their Latter Rain Movement can provide an offering to Yahweh which He will accept. And finally, we see that there is in fact a benefit for Satan to have authority, even headship, over the body of Christ. This is a MOST interesting and eye-opening program. In this broadcast, Gary and Chris engage in an open conversation regarding the troubling—yet concerning the Elijah hope, encouraging—time in which we now live. Following a string of extraordinarily passionate expressions from Gary concerning the destructive ills of this nation, its political parties, society, the church, and the home, Chris noted, “there’s your preacher of righteousness.” Gary also addressed an important question raised concerning humility. Opening with an address of the most recent writing, Tabernacles Pentecost, 2008, the hope for the fulfillment of the Bride and that subject feast was highlighted. You will undoubtedly appreciate this passionate conversation. Gary wrote, “From my perspective of seeking to understand the ways of Yahweh and the establishment of the kingdom of heaven on the earth, there is only one solution to the pressing ills of both the church and the nations—for Yahweh to do now at the end of the cut-short period of the church, what He did in its beginning. However, the Passover Pentecost former rain was early and brought death. There must be a latter-rain outpouring of His Spirit that effects three things: clothing the second Remnant in power; overshadowing this Bride so that she, as the Elijah, can bring forth Yahshua; and sound a call for repentance to the nations (Revelation 10:11). From what I can see, that outpouring would come on a Pentecost following a Tabernacles.” In this program, Gary and Chris discuss matters that give hope that the latter rain could well come on Tabernacles Pentecost, December 26, 2008. There were a lot of hopes for the outcome of Trumpets, Atonement, and Tabernacles of 2008. So what were the results? Was there a flip? Gary and Chris discuss those days and what took place. While they did not evidence the full hope—that something highly overt would take place that would affirm, strengthen, and vindicate this Elijah Bride—the time was most certainly not without clear, affirming events that were beyond the natural. Gary lays out the “substance” of those days, and the hope for the future. And as Chris affirms, who else is in the place to do what must come about—the establishment of the Elijah Bride and the return of Yahshua? This is and continues to be a most worthy quest that must be pursued. Satan Comes to Salem . . . and He’s Me! Filed under: Current events,Elijah,End times — Comments Off on Satan Comes to Salem . . . and He’s Me! What took place on Trumpets, October 16, 2008? Did the flip take place as we anticipated? Gary shares a highly revealing account of what happened that night, evidencing in a most surprising way that, indeed, the flip occurred. What took place; the remarkable events leading up to Trumpets; the foreshadowing of Trumpets, 2007; and the marvelous revelation of the Scriptures regarding these things, afford great hope and even guarded excitement for what evidences to be highly momentous and earth-changing days before us. We now watch with anticipation for the fulfillment of Atonement/Jubilee, October 25. Filed under: End times,Remnant Bride — Comments Off on The Flip! Gary opens this program with the amazing statement that it is the most important program they have recorded. When you listen to it, you will understand why this claim was made. With his co-host, Chris, he explains not only what the flip is and why it absolutely must take place, but even when this should occur. Simply stated, the flip is necessary in order that the new heavens and new earth can be built. The first step in this is the establishment of the new-Jerusalem Bride, the female, even the walls, that will encompass the male. And, as is true with everything Yahweh does, His timing mandates this work, as clearly attested in the Scriptures and insightfully addressed here. In brief, the times of the nations are fulfilled. Gary answers the following hard questions that were directed to him by Chris: How can you say that Christianity is worthless? How can you say that Satan is the head of Christianity? If he is, then why doesn’t he simply destroy it? Do Christians have a right to the latter rain? Is the translation you use for John 6:70 correct—“one of you is the devil”? Why is the church built on the covenant pattern? And finally, why do you think you are the Elijah? Filed under: Elijah,Remnant Bride — Comments Off on What Is The Kingdom of Heaven? Gary and his co-host, Chris, examine this exceedingly timely question of what is the kingdom of heaven. The only way this can be answered is to back off and look at the big picture of what Yahweh is doing and accomplishing. This Gary does, incorporating such matters as the restoration of the original Garden kingdom through the Nazirite vow, yet considering how for 2,000 years the kingdom Yahshua provided has been corrupted—the church. He then notes that the only hope for the kingdom on the earth is for Yahshua, as the fulfillment of Solomon, to come and establish it, and that the only possibility for His coming is through the Bride. Finally, he addresses the critical governmental structure wholly necessary for bringing forth offspring. After the broadcast, Guarding Your Words, Gary and Chris were talking on the phone and realized that more needed to be said regarding this vital subject. Corporately, the Bride is the Elijah who prepares the way for Yahshua, the Word of God. However, each of us have the personal opportunity and responsibility to do and evidence the same by establishing the Word in our mouths. Our words are in type Yahshua, the Word. Therefore, by our words we will either establish Him, or corrupt Him—by worldly talk and using worldly words, by unfaithfulness in keeping our word, or by careless or uncircumspect speech. Will we prove ourselves worthy to be the Elijah? If we cannot do so personally, how then can we do so corporately?